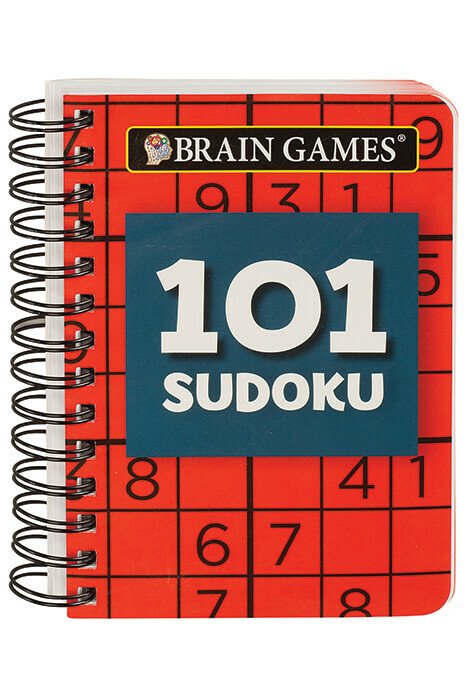 This Brain Games¨ Mini 101 Sudoku book includes 101 Sudoku puzzles and 4 levels of difficultyÑall designed to give your brain a stimulating, age-defying workout! Perfectly sized for handbag, briefcase or carry-on, the grab-and-go Sudoku puzzle collection is easy to keep on hand for a quick, daily puzzle break. 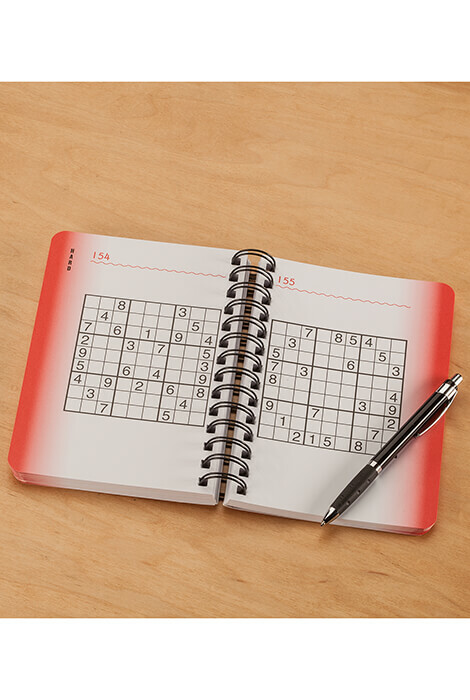 Sudoku puzzles are easy to learn, tough to master, and nearly impossible to put down ... helping you relax and concentrate while rewarding you with a sense of accomplishment. Spiral binding keeps the softcover book flat during use. 256 pages with answer key in back. 7 1/4"L x 5 1/2"W.